Hypnotism has been employed in one form or another for centuries and in many parts of the world. According to William Edmonston, trance states and the beginnings of hypnosis began with the ancient Hindus. In the 5th century BC, ancient Greeks used sleep temples to cure people of their ailments. The Romans also were noted for their use of words to create spells. Modern hypnotism starts with Franz Mesmer 1765 who used magnets in treating and curing patients by putting magnets on afflicted parts of their bodies. He postulated that a fluid circulating in the body was influenced by magnetic forces originating from the astral bodies. The theory sounded scientific at that time as it coincided with the discovery of electricity and advances in astronomy. In 1784 Louis XVI set up a commission to investigate Mesmer who was later discredited. However interest in Mesmerism was revived by Dr. Elliotson, the physician who introduced the stethoscope to England. In 1841, James Braid, another physician became interested in Mesmerism and he believed that it was not animal magnetism but suggestion that was the basis for the effect. He developed the eye-fixation method of inducing relaxation and called it "hypnosis", a Greek word for sleep. In 1845, James Esdaile, a surgeon working in India performed hundreds of minor surgical procedures under Mesmeric anaesthesia. In his book, Mesmerism in India he accurately described many of the phenomena of hypnosis as we know it today. Concurrently in Nancy, France, Dr. Ambroise-Auguste Liebault and Dr. Hippolyte Bernheim, a neurologist worked together and treated thousands of patients with hypnosis. Bernheim wrote the first scientific treatise on hypnosis in 1886: Suggestive Therapeutics. Sigmund Freud heard of their work and in 1890 came to Nancy. However, he personally found the cures too superficial and abandoned the method. This unfortunately set back the development of hypnosis for fifty years. World War I came along and tremendous incidence of shell shock was noted. Ernst Simmel, a German psychoanalyst used hypnosis for the treatment of war neurosis. The treatment allowed soldiers to return to the trench almost immediately. The merger of hypnosis with psychoanalysis was an important developmental milestone. During World War II, hypnosis played a prominent part in the treatment of combat fatigue. After World War II, Milton Erickson had a major impact on the understanding of hypnosis and the mind. He theorized that hypnosis is a state of the mind that we all enter into spontaneously and frequently. This has enormous implications for therapists to influence people through their words. On the heels of his work, hypnosis soon evolved into a well respected practice used by doctors, psychologists and even people in sales and marketing today. Gradually medical and dental professionals became more accepting in embracing hypnosis in their clinical practice. 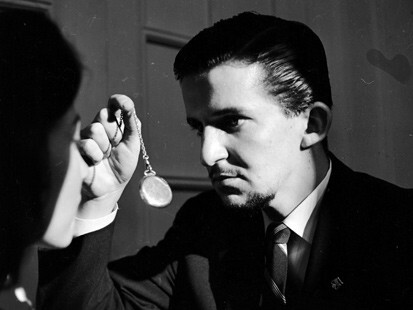 In 1955 the British Medical Association issued a report stating that hypnosis was a valuable medical tool. In 1958 the American Medical Association recognized hypnosis as a viable scientific modality. In 1962 the American Psychiatric Association recognised hypnosis as a viable and valuable modality to treat certain psychological disorders.